Leaving your Windows Phone in the inquiring hands of little ones? 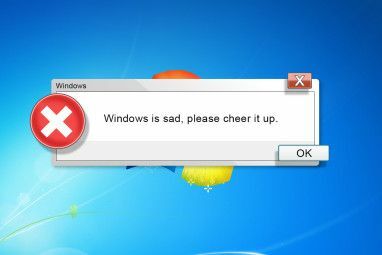 Don’t do anything until you have set up and activated Windows Phone’s child mode; Kid’s Corner. 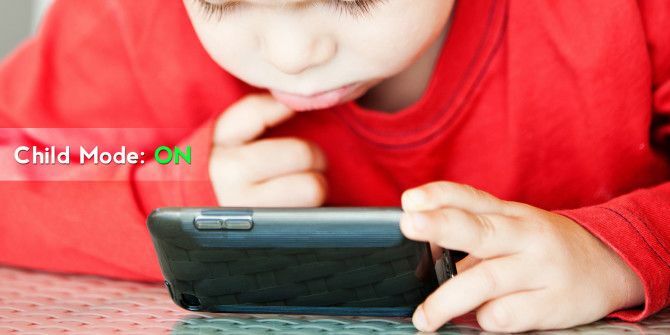 As more and more child-friendly apps become available for Windows Phone 8 Windows Phone 8: The Complete Review Windows Phone 8: The Complete Review Question: how do you improve on perfection? Answer: you wait for someone else to have a go. 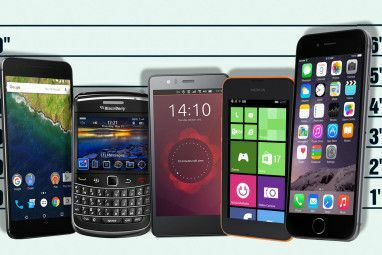 A quick look around the smartphone market reveals that Apple’s iOS and Google’s Android operating systems are top... Read More , the chances are that the little people in your household might get their hands on it. 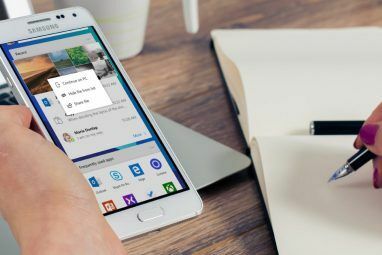 Hopefully, you’ve set a keycode to block unwarranted and unauthorised access, but what about those times when you’re sat waiting for a favourite film to start, or dinner to be served to your table in a restaurant? In these situations, child friendly apps and games for Windows Phone come in very useful. Many are available, from things like Angry Birds (in its many guises) and The Sims 3 to games aimed at smaller children, such as Baby Toy, Pre School Essentials, and CBeebies Playtime. For a wider, often-updated selection of suitable apps for children, install App Discovery by Windows Phone Parent, available free from the Windows Phone Store. Letting your children loose on a Windows Phone might sound like madness. After all, you have important emails to keep track of, and probably don’t want to send random characters to a prospective client. Factor in social networking and the expense of phone calls – not to mention metered mobile Internet access – and you’ve got a recipe for disaster. As part of Windows Phone 8, Microsoft introduced Kid’s Corner, a useful system for partitioning your phone’s UI, so that the small-handed members of your household (or any other that you happen to be spending time with) can use child-friendly apps and games without disturbing your digital life. By default, Kid’s Corner can be found on the Windows Phone Start screen. If you can’t find it there, open Settings > Kid’s Corner and switch to On. With Kid’s Corner active, you can tap the Pin button to add it to your Start screen, or tap Launch Kid’s Corner to start using it. Before doing so, you might consider setting a few things up. Kid’s Corner has four sections: Games, Music, Videos and Apps. Anything you want to make available to children, you can add into each of these sections. For instance, to add games to Kid’s Corner, tap Games and scroll through the list of installed games on your phone, checking each one to add it and tapping Done to complete. The same process should be repeated when adding Apps, Music and Videos. With the Kid’s Corner set up, you’ll be ready to put the phone in the hands of your young charges. After launching, you should notice the Customise option, where you can set an accent and background colour (from the selection provided by the OS Official Methods To Refresh Your Windows Phone’s Appearance Official Methods To Refresh Your Windows Phone’s Appearance I’ve been using Windows Phone since its first week of release in the UK, back in October 2010. Since then I’ve enjoyed the tiles, the slick UI, the smug satisfaction of owning a phone that... Read More ). You can also add a background photo and name the Kid’s Corner – useful if the same children will be using it regularly. With the Windows Phone touch interface in their hands, your little people will be able to play the games, apps and media that you have made available to them. Importantly, note that the Back, Start and Search keys are disabled within Kid’s Corner. While you can hit Back to cycle backwards through an app or return to the main Kid’s Corner screen, you cannot use it to exit Kid’s Corner. The Start and Search buttons are permanently disabled. When your children have finished their gaming session you can disable Kid’s Corner by tapping the power button and unlocking your phone. Should you want to disable Kid’s Corner, return to Settings > Kid’s Corner and swipe the switch to Off. It is worth mentioning that if you are a keen Xbox Live gamer (Xbox Live works great on Windows How Xbox Live Users Can Benefit From A Windows Phone How Xbox Live Users Can Benefit From A Windows Phone If you’re a fan of mobile gaming and also own an Xbox 360 console, you might well be aware of Xbox Live, Microsoft’s digital delivery service that also supports multiplayer and most importantly allows you... Read More ), achievements that are completed in the Kid’s Corner will be reflected in your Gamerscore. Take care when choosing which games to include! If you’re anything like me, then the entire prospect of sharing a smartphone with your children may well fill you with fear. Broken mobile screens The Guide To Replacing a Damaged Mobile Phone Display The Guide To Replacing a Damaged Mobile Phone Display If you have damaged the screen of your mobile phone – perhaps you dropped it or sat down while the device was in your pocket – you’ve immediately given yourself a headache. Can the phone... Read More , sticky finger marks and scratches to the bezel/frame might be just the beginning of this potential nightmare. On the other hand, Kid’s Corner is a great way to let your children use some excellent apps. Some are educational, others just fun, but this feature keeps inquisitive fingers and minds entertained during downtime.